If you are not into much of calories count than you can try making these potato snacks at home. They are much much much better than those readymade version. Because lips shape goes bit here n there so my kids call them potato shockies or shocked potatoes. Very easy n immediate to make if you have boiled potatoes. I make them n keep in freezer for later uses. 1- Mix all very well and knead a dough. 2- Roll it on greased paltform and with the help of cookie cutter make shapes. 3- Now take a cold drink sipping straw and make eyes in each shape. 4- With spoon you can make smile dent in the shape. 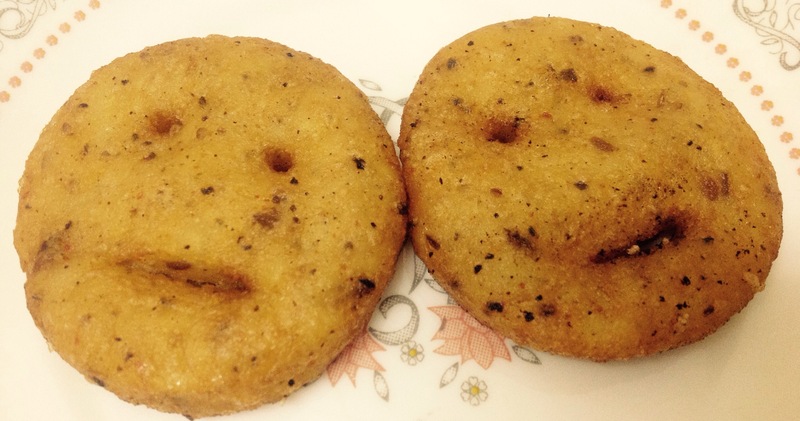 5- You can mild fry to freeze and refry after few days or at serving time. 6- Fry it at medium flame in heated oil for immediate consupmtion. 7- My neighbor took this recipe and she makes it with lots of very finely chopped green chillies for cocktail snack servings.